After a long overnight flight, the Headington School group arrived in Addis Ababa in the early morning of Wednesday 11th July. I was excited to welcome a group of visitors who had, through fundraising at home, already made a big difference to a school here in Ethiopia. After meeting the group at the airport, we continued the journey toward Asela, a small town three-hour’s drive to the South. The group consisted of 16 energetic and enthusiastic girls, four teachers, and one volunteer. On their arrival at Silingo Elementary School, the 21 guests were greeted by the head teacher and students from the local scout group. The school’s parent teacher association was also present to welcome the visitors with a traditional coffee ceremony. After a much needed night’s sleep, the group returned to the school, armed with work gloves and tools, ready to help with the building project. The group were treated to a lunch, generously prepared by the school. 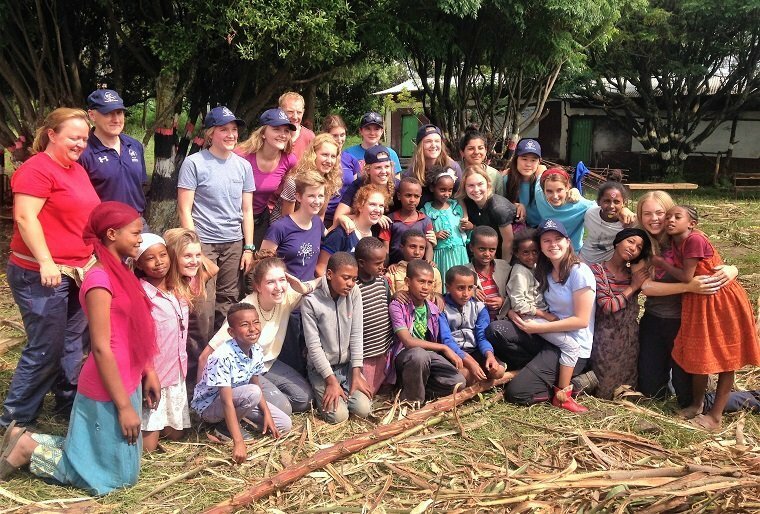 Headington School has been to Asela five times since 2012 and has supported three different schools: Hamle 19 Elementary School, Dosha Elementary School and, for their most recent project, Silingo Elementary School. For each school, they have raised funds and supported various infrastructure improvements. These have included building new facilities, such as a library, toilets and additional classroom buildings, as well as helping to refurbish some of the existing buildings. The people of Asela have great respect and appreciation for the students and school community of Headington, who all have played a huge role in making the projects successful. Particularly, they would like to thank the two main teachers who coordinated the trip to Ethiopia, Mr Cunningham and Mrs Bowen. Their concerted effort has enabled Asela’s schools to have better resources and facilities, which are greatly benefiting the students. 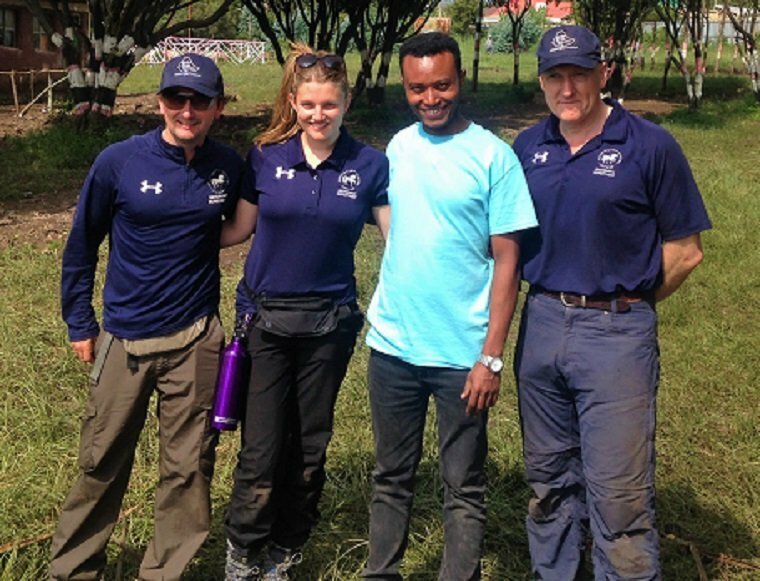 On site at Silingo, the group accomplished many different tasks. These included peeling the Eucalyptus timber and transporting it to the site, planting trees, cutting reinforcement wires, gardening, painting classroom murals and helping the children practise their English. The group also helped to construct a school fence. All of these tasks were accomplished during their three-day stay, and had a huge positive impact at the school. The group accomplished a lot and plan to come back to Asela to continue the project. The head of Asela town Education Office also came to visit the site, and was extremely pleased to see the youngsters working to help the community. As the group left, Silingo Elementary School students gave them thank-you bracelets, wished them a safe journey, and asked them to return next year. The staff and students at Silingo were really welcoming and it is encouraging to know that our work at the school is going to make a difference to their education. 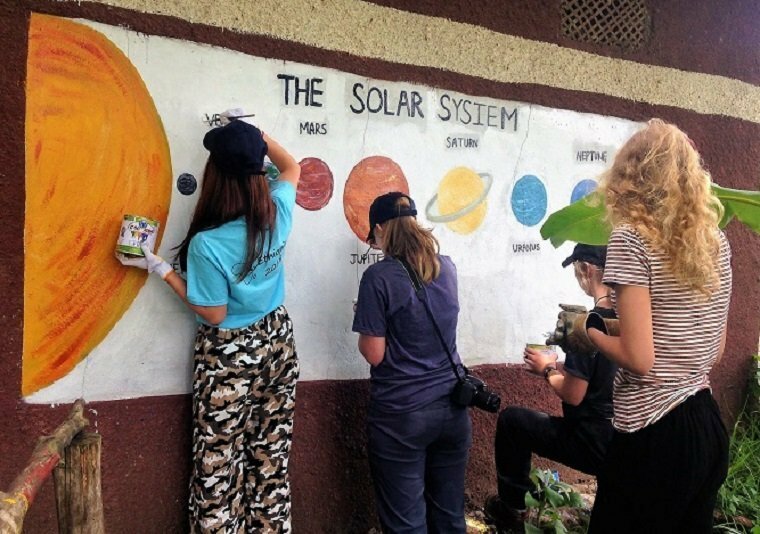 The team had all worked hard to fundraise before the trip – babysitting, selling things, bake sales – and once they had met the children at the school, a number of them wished they could have done more. We are looking forward to seeing the developments with the classroom block and hopefully to return next year with a new team to complete another floor. Link Ethiopia is grateful to have Headington School as a continuous supporter to our schools in the Oromia region, Asela. We will ensure we continue working hard to accomplish all the projects so that the support continues and more schools benefit from it. Next PostIntroducing our New Chief Executive!